Speaking of “did I own that once”, did I actually have one of those eyeball webcam dealies, as seen in the first panel? I might have. I really don’t care for webcams; there’s one sticking out of the front of my laptop screen, and it’s like staring into the optic sensor of a killer robot. I’m on the verge of putting duct tape over it. 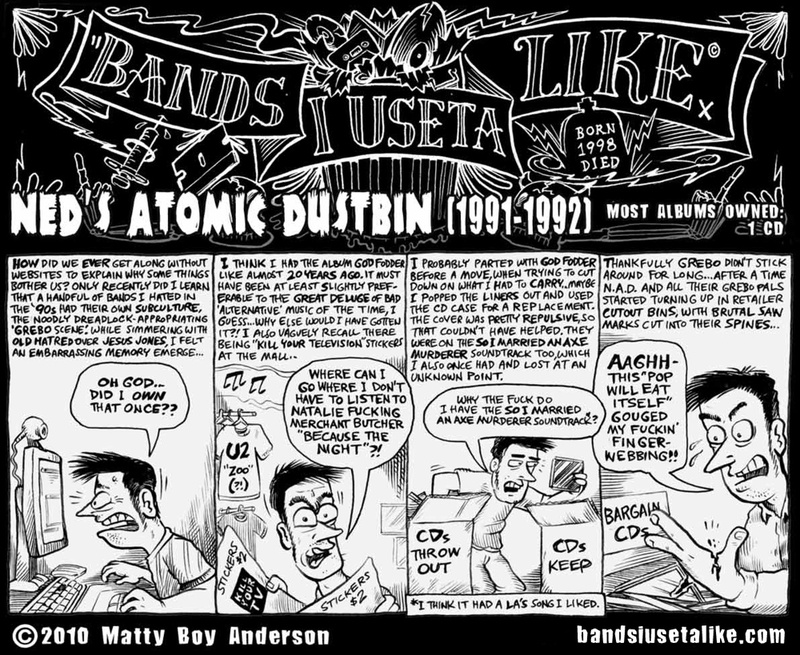 “Ned’s Atomic Dustbin”, like Toad The Wet Sprocket, comes from a Monty Python bit. You’ve got internet, you go dig up which ones. I’m at work.